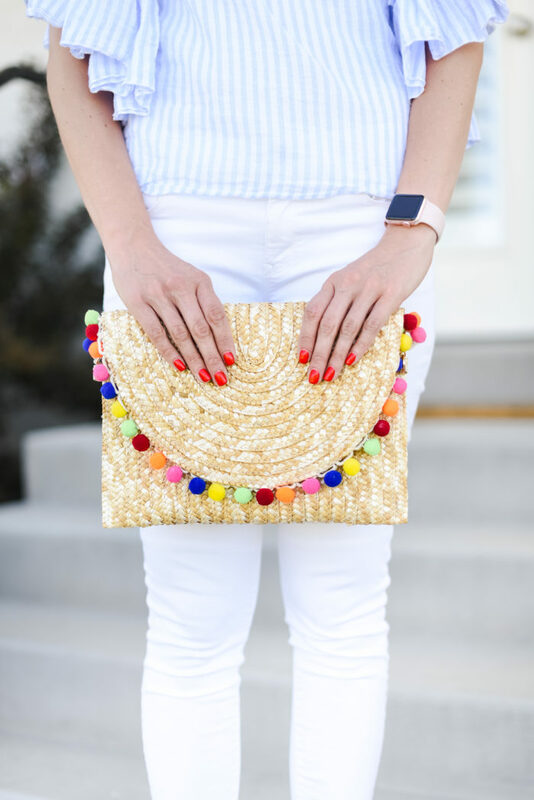 Straw clutch with pom poms! This is perfect for a cute date night! 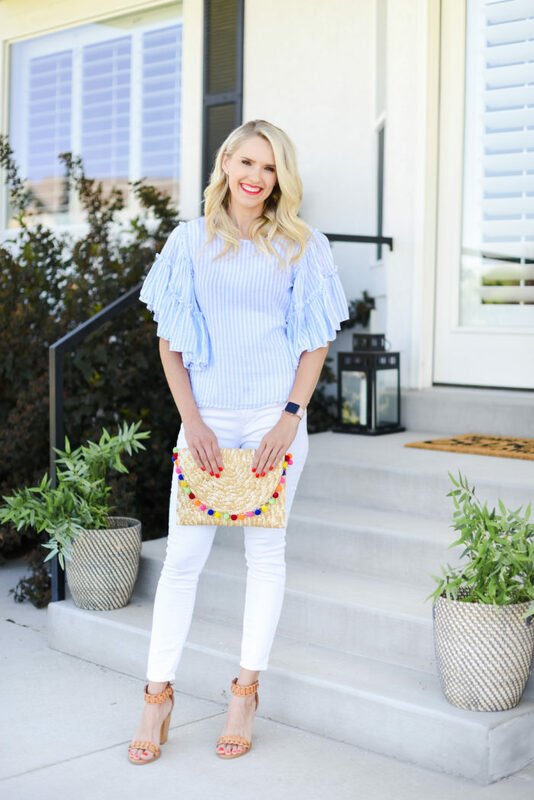 The main point of this post is THIS straw clutch with pom poms though! When I go out with Tyler on date night, I like to minimize what I have. I carry a lot when I’m out with the babies, so it’s nice to through my lipstick, my phone and my wallet into a small clutch or purse and head out the door. For some reason I love pom poms and I always have. They seem like a party to me. I mean, at the very least, they are certainly not boring!! Speaking of date night, Tyler and I love to go out once a week. I think it’s so important as parents to go out without your kids and reconnect with your spouse. 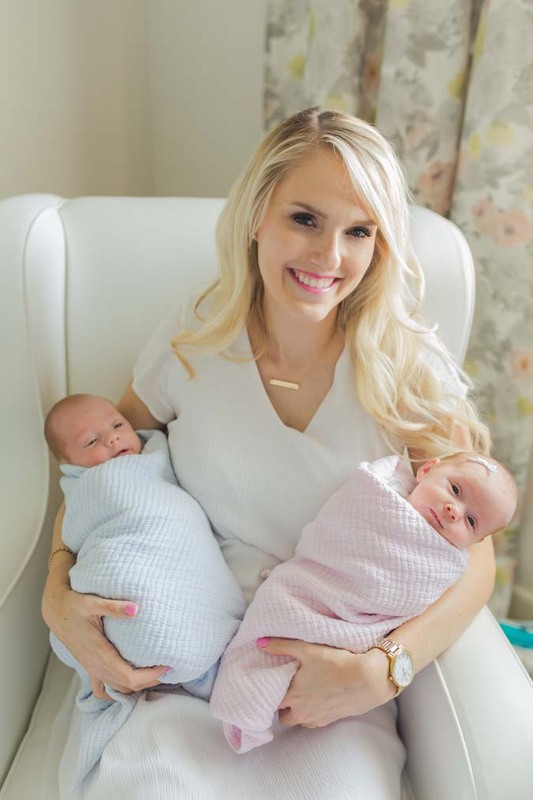 During the week and day to day, you’re so busy with work, making food, working out, doing the laundry, doing dishes and so on and on and on that by the time the day ends and the babies are in bed, you’re exhausted and you want to crash in bed! It’s nice to go out and stay connected! One piece of advice that my mom gave me and I absolutely love is that when you go out with your husband, don’t only talk about the kids. Maybe catch them up on a few things, but try to stay focused on other things and have FUN and LAUGH! I think this is important because your kids will be out of the house one day, and you still want to have things in common with your spouse. I think the secret to our happy marriage has been laughter. Love you guys. Have a great weekend! 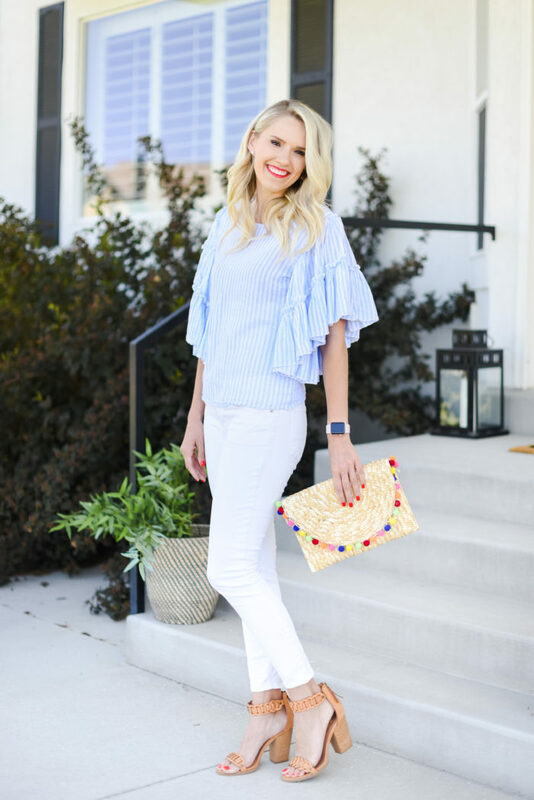 Other pom pom parties that I’m loving! 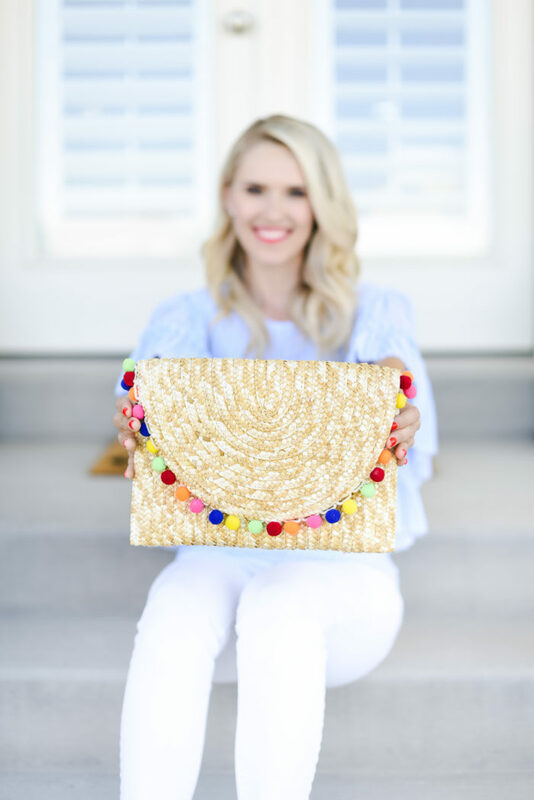 Previous Post: « Large Straw Tote That Will Hold All of Your Stuff!